Amancio Ortega is one of the wealthiest people in the world. Understanding how he has become a billionaire requires an understanding of the business strategy of Zara—the fast fashion retail company he founded in 1975 until he stepped down as the deputy chairperson of its parent company, Inditex S.A.
Fast fashion is a concept that describes the quick phase at which fashion retailers capture current fashion trends based on recent major fashion shows. In other words, the concept describes how trends move from the catwalk to major retail stores. It is important to note that fast fashion is a business strategy that revolves around designing and manufacturing trendy fashion items quickly and inexpensively to allow mainstream consumers to purchase the trendiest style. Central to fast fashion is mass production. Unlike high-end fashion retailers that take time to come up with products due to time constraints in both design and production, fast fashion retailers generally copy designs from fashion shows and use their large-scale production and distribution capabilities to make the products available as quickly as possible. 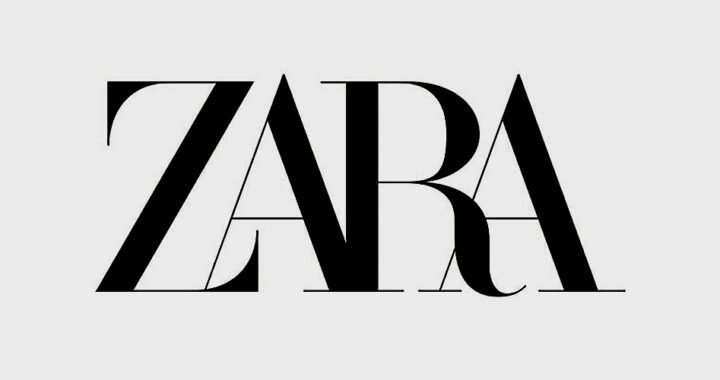 Although the term appeared only in the mid-2000s, Ortega founded Zara based on the principles of fast fashion. The first store sold low-priced fashion items that were similar in appearance to fashion items from high-end fashion retailers. Zara streamlined its design, manufacturing, and distribution processes to reduce lead times and respond to new fashion trends as quickly as possible. Ortega called this strategy as instant fashion. Note that Zara has been a global model for how to decrease the time between design and production, as well as between production and consumption. Another key element in the business strategy of Zara is in-house production. Unlike other fast fashion retailers, as well as companies such as Nike and Apple that outsource from manufacturing companies in developing countries, the company owns and operates its own manufacturing facilities. Of course, the company also outsources to other manufacturers in Asia for low-cost basic clothing items. Having in-house production capabilities have enabled Zara to control its production processes and outputs. For example, the proximity of its company-owned factories allows direct and close coordination between product design and actual production. This translates to shorter lead time, as well as faster production and distribution. Close coordination between design and production also promotes better quality control. A factor contributing to better production quality is labor. The factory workers of Zara have better wages than their counterparts in developing countries because the median salary and compensation package have been based on European standards. The retail company also has a high degree of freedom in controlling the amount or frequency of each and every fashion items. As an example, it adjusts its production capacity to accommodate seasonal trends in fashion and consumption. Vertical integration is also a notable strategy of Zara. Its in-house production is a prime example. Aside from this, however, the company also has extensive control over raw material sourcing, design or product development, marketing and sales, and shipment or distribution. The company maximizes the feasibility and efficiency of production by maintaining a network of suppliers strategically chosen near its production facilities across Europe. It decides where to produce depending on the geographic availability of raw materials, thus shortening the lead time between sourcing and manufacturing. Zara also owns and operates more than 2000 retail stores in major cities across the world. Furthermore, it has a distribution capacity that allows it to deliver items within 24 hours in the European market or less than 48 hours in the American and Asian markets. The company closely coordinates all aspects of its operation from procurement and production to distribution, thus ensuring that products are available at the target release dates. Note that product development also involves close coordination with procurement teams, production units, and retail store managers. Designs emerge not only from the sole discretion of a vertical team of designers but also from the inputs from suppliers and procurement managers, production managers, and store managers. Vertical integration gives Zara a competitive advantage over other fast fashion retailers. It is worth stressing the fact that this strategy often leads to an inability to acquire economies of scale needed to lower manufacture cost while maintaining mass production. Other fast fashion retailers still resort to outsourcing to enable them to offer cheap but moderately fashionable items. In the case of Zara, its vertical integration strategy has allowed it to maintain its branding: moderately cheap but highly fashionable items. Zara spends little on advertising and other marketing promotional activities. However, the company has developed a marketing strategy that involves an interplay between limitation in production outputs and maintaining customer loyalty. To be more specific, central to the marketing strategy of Zara is to drive store visits, maintain repeat visits, and encourage repeat purchases by creating a perception of high demand amidst limited supply. This strategy is habit forming. Loyal customers of Zara would visit a store more frequently than customers of other retail companies. These individuals know that Zara produces only a limited number of fashion items. Once items from a particular fashion season are gone, there are gone for good. Every item the company displays on its retail stores is new but scarce. By creating and maintaining a perception of high demand and limited supply, Zara has compelled its loyal customers to increase their store visits while also driving repeat sales. Note that setting a limit on its production outputs gives Zara several advantages. These include better quality control, reduced strain on its production capabilities, well-managed inventories with no excess, and closely controlled production cycle.